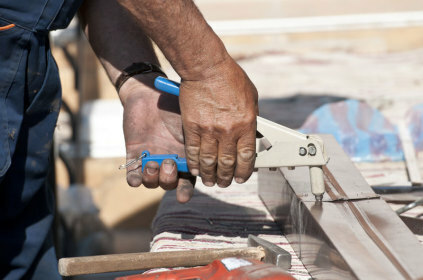 Call us today for gutter installation in Fort Worth, TX and get your gutter problems taken care of. 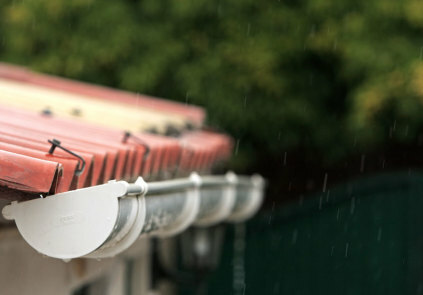 An improperly functioning gutter and downspout system can contribute to water and ice backing up against fascias and under roof shingles, it can damage soffits and can discolor or deteriorate siding materials. Faulty gutters and downspout systems can also lead to soil erosion adjacent to buildings, and to serious water and foundation displacement problems in basements and crawl spaces. Other signs of a faulty system are rotted wood, cracked and blistering paint, worn mortar joints, and settling cracks in patios, walkways and driveways. Contact us today for gutter repair and gutter installation in Fort Worth, TX and find out more about how these services will benefit you. 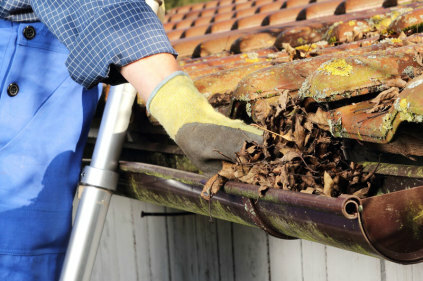 We remove leaves, acorns, sticks and other debris from your gutter system. 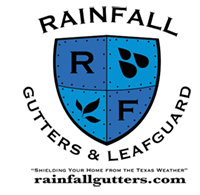 This allows excess water to flow freely throughout the system. Left alone, these obstructions can block the flow of water, causing water seepage into the home, damaging ceilings and walls. You may also consider installing gutter screens. 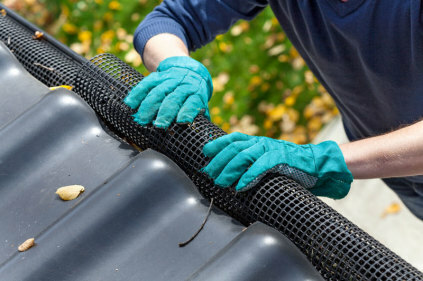 Screens prevent debris from entering the gutter, eliminating the need for annual gutter cleaning. When cleaning your gutters, we make sure to flush out the downspouts, eliminating any obstruction which could be trapped inside. Leaf Guards are gutter filters that are virtually invisible and eliminate the need for gutter cleaning. Leaf Guards are form fit to your gutters and are almost undetectable once installed. Leaf Guards keep leaves and other, debris out of your gutters, eliminating the risks associated with blockage and greatly reducing maintenance costs. Over time the Leaf Guards pay for themselves from the savings provided by the lack of annual gutter cleaning costs.